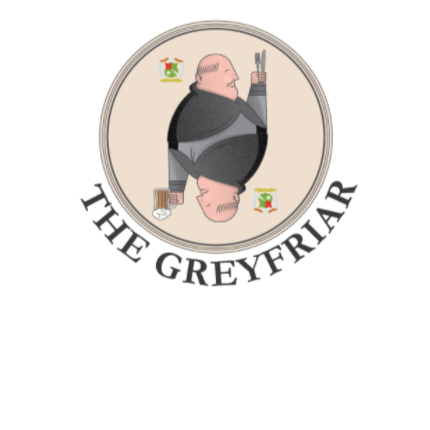 Welcome to The Greyfriar. Surrounded by the wonderful Hampshire countryside and Chawton’s rich literary history we have been the village pub since the time of the Spanish Armada. At the heart of the village we are a family and dog friendly country pub, that offers an unrivalled range of beverages, innovative flavour packed dishes made from local ingredients and traditional pub classics cooked to perfection. The historic Hampshire village of Chawton is just off the junction of the A32 and A31 and a 15-minute walk from the centre of Alton. We are directly opposite the former home of world famous author Jane Austen and a five-minute walk from her ‘Great House’. The Greyfriar has a large secluded garden with an extensive seating area. There is a children’s play park on the village green behind our large carpark and additional parking is available at several locations close to the pub. Really nice meal and good service - many thanks! Staff were great. It did get very busy so we were glad we booked. We ordered off the lunchtime menus, it was good pub grub. We will be back to try the other menue. A very nice pub plenty of parking, excellent service and good food. The Indian Food Dining Experience at the Greyfriar on Monday was a most memorable experience for its inventive and imaginative dishes, packed full of so many interesting and unexpected combinations of flavours. The Guest Chef and the Greyfriar team were also able to accommodate my vegan friends and also to adapt the dishes for those who are gluten free. They were all delighted with the exceptional quality of the food and will be coming to the forthcoming Vegan evening at the Greyfriar. The pub also looks great after its recent refurbishment and the service was excellent and Simon and his team deserve five stars all round. Lovely evening. Food was great as was the atmosphere and service. Will be booking again for the next guest chef evening. Real locally sourced, home cooked food. We couldn’t fault the food or service...keep up the good work! Two meals at the Greyfriar in one week, starting with the most delicious and best Sunday Roast I've ever had in a pub with the most mouth-watering, sweet and tender roast lamb and best veg selection ever. Then mid-week I returned with a friend and had beautifully cooked fish and triple cooked chips which were perfect. The pub has also had a really tasteful refurb and has a cosy, welcoming atmosphere and the service is superb. Highly recommended. Great Pub, recently refurbished, looks great. We had a lovely meal and experience on Mother's Day, including a present given to the celebrating Lady. Good food, nice beer, good value.. what's not to like? We had a lovely meal, thankyou. Nice changes to the menu since I was last there. Very good Sunday roast. Tasty and most importantly hot. Nice selection of veg. Locally sourced baby carrots were so full of flavour.. It was extremely busy, very glad we booked. We had a Sunday Lunch booking and whilst the restaurant was busy we felt service was not skimped. Staff were attentive and in good spirits and the food and drink was superb. We shall most definitely return. Incredible food, atmosphere and service - looking forward to visiting again! Thank you for a great evening. We came in on the tail end of a busy Sunday lunch rush, but were still welcomed with smiles and quick service. They entertained our 5 year old incessant chatting and our 2 year olds energetic behaviour again with smiles and engagement! The ONLY let down was the Sunday roasts were showing that they had been ready to serve to someone for a while, so were not quite as fresh as the website had proclaimed. Though if you turn up at 4 on a Sunday you shouldn't expect cooked on the spot. All in all a nice few hours spent in a cosy pub. An exceptionally good Sunday lunch - excellent service in a lovely spot. Very welcoming. Great food and service. Friendly atmosphere and discreet and attentive service. Nice balance between decent restaurant and country pub. The only music? Conversation- great!! A disappointing visit, with friends, to a previously enjoyed hostelry. We waited over an hour for our choices from a very limited menu, though when it came, it was very nice. The ladies toilet was without a hand basin. Not, in my opinion, up to your usual high standard, even mitigated, as it was, by the offer of free desserts. Our party of 4 had a fantastic evening on Welsh Night. The tasting menu was absolutely knock out! As always the service was charming and friendly. Great job Greyfriar team. Lovely food, really friendly and attentive service and a beautiful day - what could be more perfect! Excellent atmosphere. Service was impeccable. The food was absolutely delicious with the slight exception of the Sticky Toffee Pudding. But otherwise, what a fantastic way to lunch!